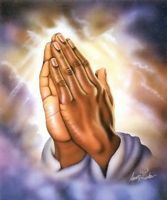 Please include my wife and I in the daily prayers of the Community in the days ahead...Nov..Christmas 2010,2011...or as long as possible?? God's Healing,Protecting Peace and Hope in our broken hearts,health and shattered lives!! Please also pray for relief from financial hardship which is making our recovery next to impossible!!! Feel free to pass or e-mail our urgent prayer intention on to the Sisters and Communities of Prayer that you know of in the World? ?